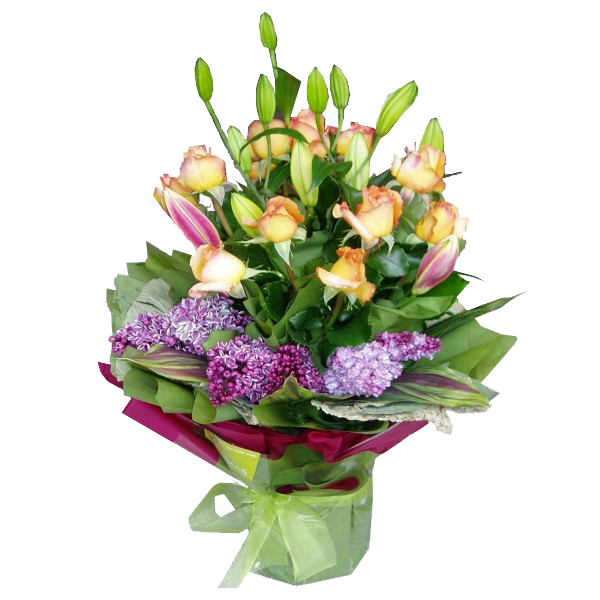 This colorful arrangement contains a blend of scents emanating from rose, lily and lilac. This sensual combination is truly for the garden lover an comes in a vase for convenience. 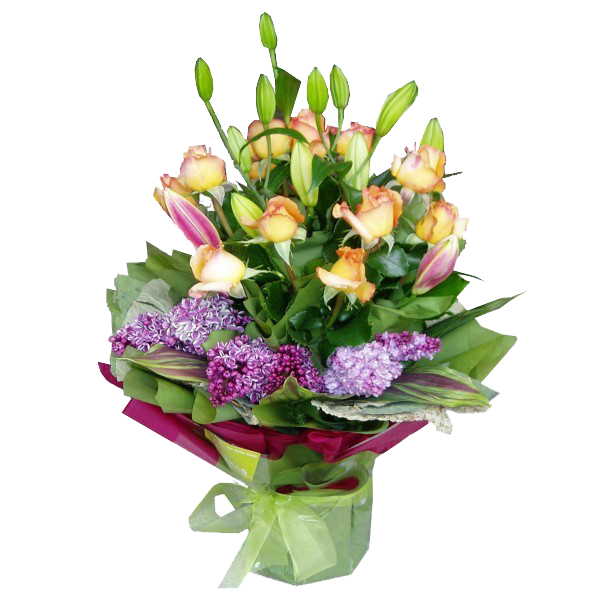 Brightly coloured in orange, pink and purple, this arrangement is sure to delight the senses.